Royal Akarana Yacht Club will be open on the weekends in the lead up to the America’s Cup and will cater for special AC breakfasts so you can watch the racing with your fellow members. AC breakfast details are coming soon, but in the mean time, lock these dates into your diary! Each team races every other team twice, scoring one point per win. Teams include the defender, Oracle Team USA. 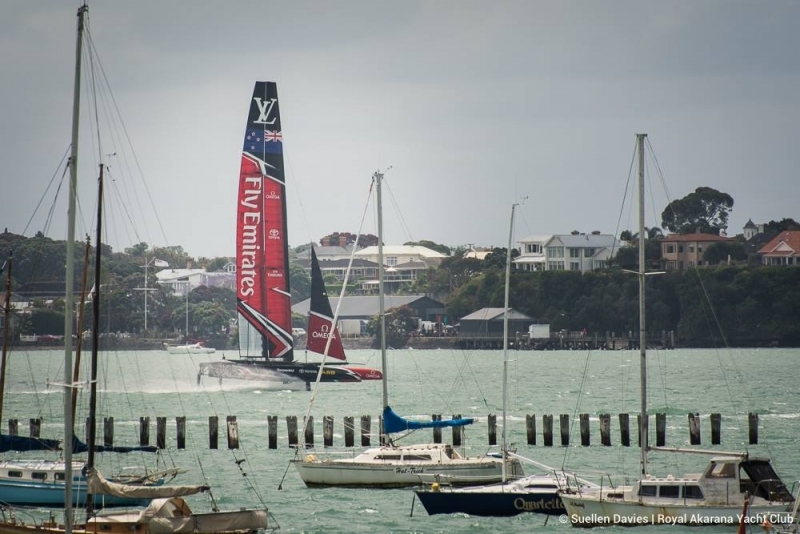 The winner of the Qualifiers takes a one-point advantage into the America’s Cup Match. Note: Great Britain will begin the Qualifiers with a two-point head start and USA a one-point head start for finishing first and second respectively in the AC World Series. The top four challengers from the Louis Vuitton America’s Cup Qualifiers are split into two semi-finals. The winners then race in a final to determine the top challenger. Note: Each Louis Vuitton America’s Cup Challenger Playoff round is a first-to-five series. The winner of the outs Vuitton America’s Cup Challenger Playoff goes up against the defender, ORACLE TEAM USA in the 35th America’s Cup Match, presented by Louis Vuitton. If the team that wins the Qualifiers in the Match they will start with a one-point advantage.